I don't know what the weather's like where you live but here in Nashville, it's starting to turn... fast! I'm still waking up to happy, chirping birds basking in the sunlight, but I walk out to hear the church bells in my slippers and I'm desperately clutching my hot cup of coffee cause it's FRESH outside. Now, there's something you should know about me: I hate the fall... well I used to hate it anyway. So much of me DREADS the leaves falling off the trees... I can't stand the idea that as soon as I start to really enjoy the yellows and reds, it all turns to GREY and BROWN! And then we're stuck in a miserable holding pattern until the groundhog decides to make his presence known... but something inside me is changing.... I'm kind of loving the idea of pumpkin, and rich, stewed broths, and whiskey over the stove and the fireplace going... I think being married to my husband has done a number on my hatred for all things cold weather friendly (he is, after all, Australian and never grew up with a real, leaves changing Autumn... he couldn't love it any more). BUT! In my admittance to turning fall friendly, I am still having a very hard time letting go the idea of tossing something fast and crisp and cold together for dinner in a snap. 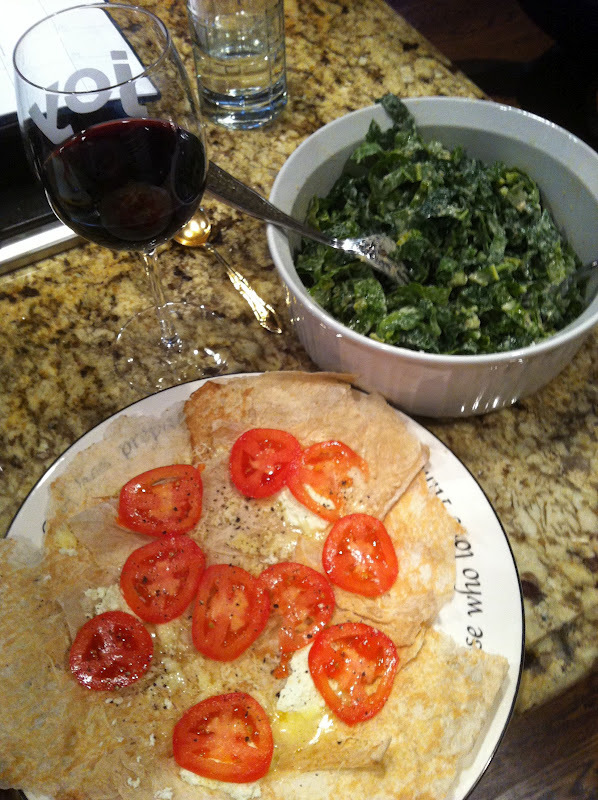 And yes, we'll be featuring easy and quick fall dinner ideas here on Recitherapy, don't you worry... but it's different than tossing cold lettuce and fresh tomatoes together and serving it with a glass of wine. There's just an element of happiness that, in my opinion, can't be found in any other seasonal dinners like you can find in summer meals. So here's a farewell to the fastest, easiest little dinner for one (or 10), summer style. 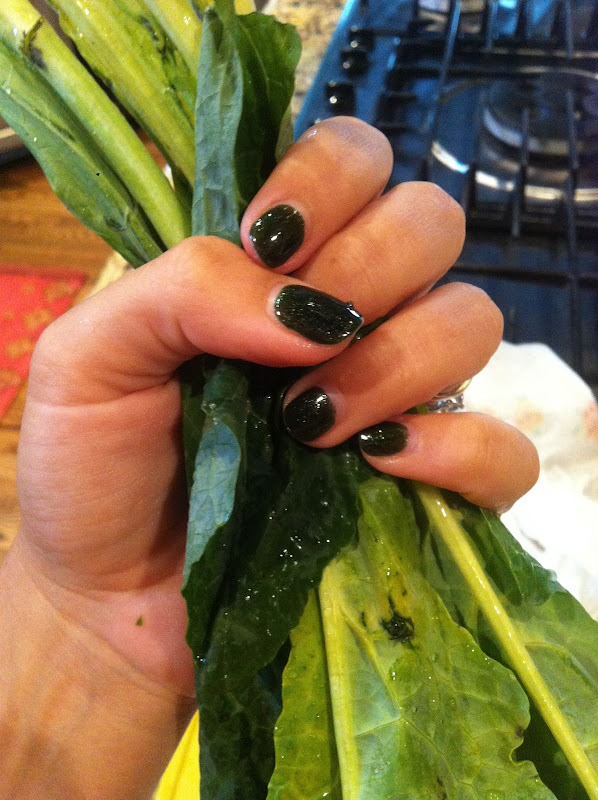 Grab some kale and chop it up finely. 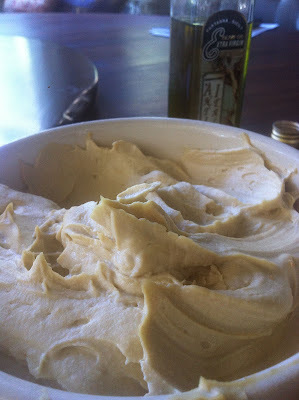 Make some hummus and mix it in with some sharp, bite-y cheese, olive oil and salt and pepper. Melt two different kinds of cheese over markouk and top with cracked black pepper. Don't have markouk or even know what it is? Use what you've got... pita, greek pita, roti, naan, whatever is skinny and delicious (markouk by the way, is a Lebanese flat bread, paper thin and outrageously delicious... find an Arabic grocery near you and ask if they have it. then buy it). I used sharp white cheddar cheese and fresh feta. Lots of fresh feta. Slice up some tomatoes and black olives if you want and toss it on top. Drizzle with olive oil. Pour yourself a glass of wine and go to town on that awesome fresh dinner. In other news... 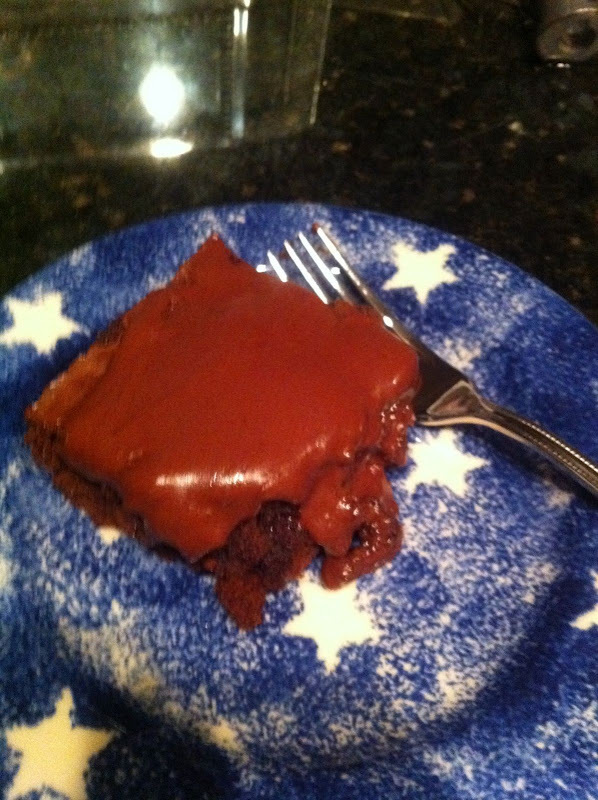 I'd like to show off Holly's beautiful Ultimate Brownies! Puppet, I'm so proud you made these! She sent me a message saying she had always been a die hard brownie mix fan, because they ARE so good and way too easy to pass up. But she wanted to try our recipe because they look so good and she's never had brownies with frosting... She had total success and said she'd never buy a mix again! HA! RECITHERAPY WIN! So friends, take the way of Holly and try them out for yourself! It's that brownie making time again with all these fall parties and halloween shindigs coming up... so go ahead, bake a batch, take them to your church chili cook off party and ENJOY. AND TAKE PHOTOS if you make these things and tell me about it! 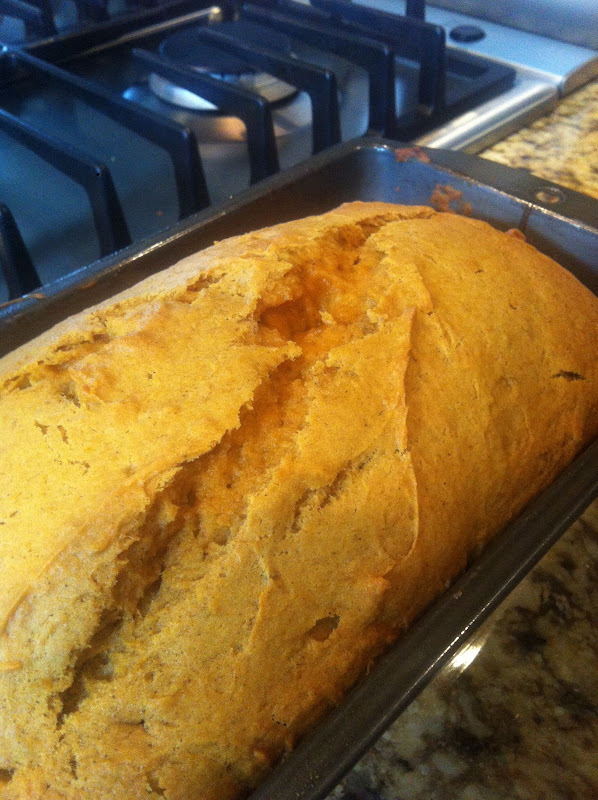 I love hearing your cooking and baking success stories and you know I love the photos. Dinner looks great & good job, Holly! :D Those are the BEST brownies.